A luxuriant villa and an immaculate beach. Leisurely dinners alongside movie stars and supermodels. A vacation could be worse. But wanting a vacation on St. Barthelemy and having one are different things. This island's beauty, luxury and exclusive company come with a steep price tag. And should you have what it takes for a holiday on St. Barthelemy, a word of warning: If you are lucky enough to recognize a celebrity behind a pair of sunglasses, don't expect to collect an autograph. Those breaking the island's law of studied nonchalance will likely be deported. St. Barthelemy (better known as St. Barts or St. Barth) first came into the spotlight back in the 1950s when David Rockefeller and a few other prosperous individuals built holiday homes there. 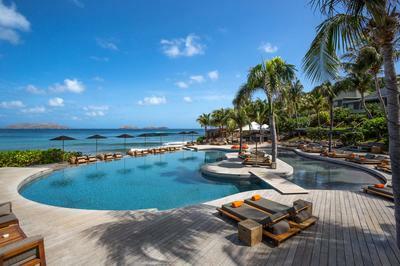 Slowly but surely, jet-setters from two continents followed suit, and St. Barts was on its way to becoming the fashionable getaway for the rich and the famous. 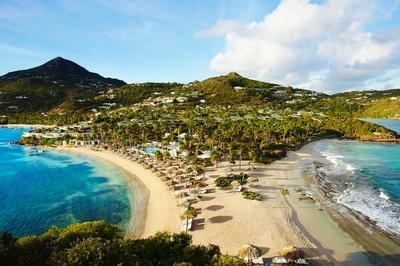 They don't choose St. Barts for the company, though that's certainly part of the allure: The beaches are secluded, the water is warm, and the landscape of hills and ravines is lovely. The island is sophisticated yet laid-back, with a decidedly French ambience. 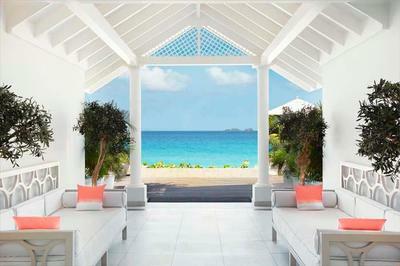 The people of St. Barts are adept at providing comfort, quiet and security to their well-heeled visitors. St. Barts' foremost activities include beaches, sunbathing, leisurely dining, shopping, boating, windsurfing, diving, snorkeling, relaxing, and seeing and being seen. Those seeking high-class food and accommodations, relaxed elegance and lovely tropical surroundings will enjoy the island. Also, women can feel free and secure in the absence of male harassment that is sometimes a feature of Caribbean vacations. Although there are some hot spots for cabaret and dancing, travelers seeking fast-paced nightlife and things to do away from the beach will probably find other Caribbean islands more to their liking. Those on a tight budget, Francophobes and those irritated by lavish lifestyles should steer clear. Stay in your favorit places... always a V.I.P. Ask about some of additional favorites on the island as well! St. Barts is the only island in the Caribbean with Swedish connections. Sweden was involved in the trans-Atlantic slave trade and made an additional profit by collecting an export tax on slaves shipped out of St. Barts, which it owned between 1784 and 1878. The village of Lorient is sister city to Lorient on the southern coast of Brittany. 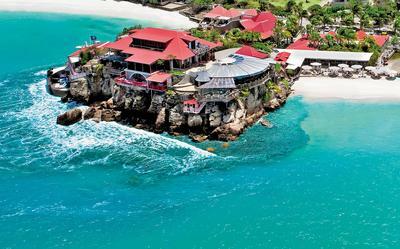 St. Barts itself has twinned with Pitea, Sweden. A number of island leaders share the last name Magras (pronounced ma-GRAH). They are known as "the Magrasfia." It's not a term of endearment. Volleyball is the most popular sport on St. Barts, with hundreds of players and tournaments that draw crowds of 500 or more. Both beach and hardcourt games are common. When locals refer to a case, they're talking about one of the island's original structures, a simple building often capped with a colorful roof or shutters. St. Barts has no rivers or streams. A desalination plant, rainwater and imported bottled water are the island's only sources. As a result, islanders take water consumption very seriously and frown upon this scarce commodity being wasted. One of the world's oldest people, Eugenie Blanchard, was born in St. Barts and spent much of her life there. She died in 2010 at the age of 114.